Lopes, C. 2014. Leveraging Africa's extractive sector for inclusive economic transformation. GREAT insights Magazine, Volume 3, Issue 7. July/August 2014. Africa is endowed with some of the world’s largest mineral reserves, including three-quarters of the world’s platinum supply, half of its diamonds and chromium, and up to one-fifth of gold and uranium supplies. The continent also boasts vast reserves of coal, copper, cobalt and iron ore and is home to huge reserves of oil and gas. These resources account for a significant share of exports in half of its countries. Despite having a history of more than 500 years of commercial resource exploitation, the continent remains one of the least known geological regions in the world; the full extent and value of its unearthed mineral reserves remains guess work. If recent discoveries of iron, oil, gas, gold and coal in Guinea, Ghana, Liberia, Tanzania and Mozambique are anything to go by, the continent’s abundant extractive resources can be a key source of revenue for the continent’s transformation agenda. Minerals can be a game changer, if they are transformed to embrace real human development breakthroughs. 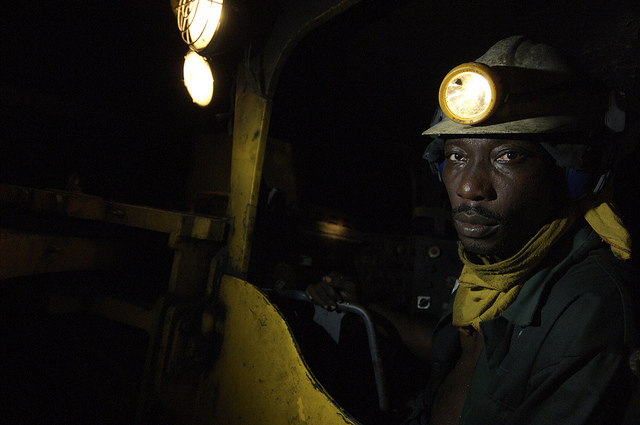 At the moment, Africa’s mining sector accounts for just 10% of the world’s production. It is also said that over 80% of the world’s total future pipeline of mining projects is based on four key minerals: iron ore, copper, gold and nickel, which are all present in Africa. The continent still looks like the next future frontier for extractives. The paradox, however, is that many of Africa’s richest resource countries rank amongst the lowest on the Human Development Index. For instance, Angola has one of the world’s highest maternal mortality rates, Equatorial Guinea is one of the countries with the highest child mortality rates, and the Democratic Republic of the Congo lurks at the bottom of the index on almost all fronts. The largest exporter of uranium, Niger, trails the index. The poor performance in mineral rich economies has been linked to differing factors: weak integration of Africa’s extractive sector into national socio-economic activities; commodity exports with little or no value added; and weak forward and backward linkages to the rest of the economy. In addition, the effects of Dutch disease, as well as poor legal and regulatory frameworks have only exacerbated the situation, compromising transparency and accountability. Annual estimates of illicit financial flows ranged up to US$50 billion in the last decade, which equates to more than the region received in bilateral aid from the Organisation for Economic and Co-operation Development (OECD) countries. This includes price fixing and tax avoidance. For instance, between 2005 and 2009, half a million workers in Zambia’s copper mines were paying a higher rate of taxation than the operating multinational mining companies. Needless to say, the continent has been deprived of huge financial resources that could have been used to boost human development, invest in infrastructure or services delivery. Despite numerous challenges though, prospects for change are taking root. Developments in the geopolitical landscape as well as at the regional and national levels can help leverage the continent’s extractive sector, for inclusive economic transformation. Some of the key drivers can be loosely placed under two categories namely: structural factors and an evolving policy posture. Over the last decade, commodity prices have hit a super-cycle, spurred by a huge global demand for mineral resources, particularly from emerging economies, such as China and India. With this demand, new partnerships have been developed and new ways of doing business have also evolved, depicting unprecedented economic opportunities. To fully use this favourable bargaining position, Africa can maximise the demand for mineral commodities. Where it has a dominant position, it should impose local beneficiation, as well as negotiate more favourable licensing agreements. Botswana is a leading example that can be emulated; it enjoyed nearly half a century of uninterrupted economic growth on the back of a diamond revenues, generated through increased value addition from its joint venture with De Beers. Diamonds remain the primary driver of Botswana’s economy, and generate consistently around 70% of Botswana’s export earnings, 50% of government revenue, and 40% of GDP. Global value chains have also evolved to be more interconnected. Different stages and activities of the production processes are now often spread across several countries. 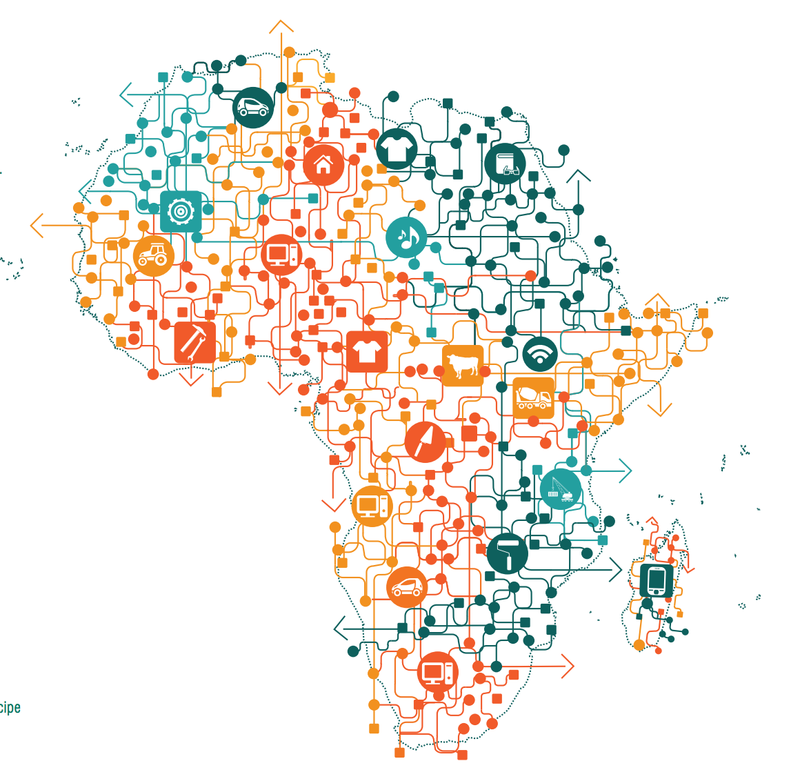 African economies can leverage these opportunities by inserting themselves into a part of the chain, building capabilities in specific tasks, on a globally competitive basis, or as part of a broader diversification strategy out of resource exports. Opportunities to create modern and sustainable jobs, stimulate inclusive growth by moving to higher value products, upgrade skills and capabilities, as well as provide access to knowledge, infrastructure and technologies should be harnessed. This would facilitate Africa’s entry into new markets that offer productive employment opportunities as well as leverage global value chains out of countries like China, Taiwan and India, due to their rising labour costs. Traditionally, the continent’s mining sector has been better assimilated with overseas enterprises, mainly due to the practice of extracting and shipping bulk minerals. Regional integration can extend continental linkages beyond the mining chain itself, by adding upstream, side stream and lateral linkages to help open up the enclave nature of African mining. 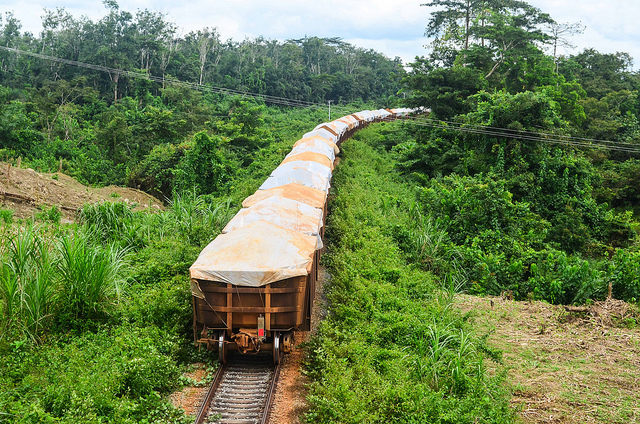 Investing in regional development corridors (as part of mining contract negotiations) would also help narrow the infrastructure development gap. For example, the Conakry/Buchanan Development Corridor covering Guinea, Liberia and Côte d’Ivoire would facilitate the development of large mineral deposits in southern Guinea, link to the Conakry/Kankan railway line as well as link mineral deposits in the west of Côte d’Ivoire into the Liberian port of Buchanan. Using Africa’s extractive resources to propel modernization has been articulated in several African plans and development strategies at national and regional levels, dating back to the Lagos Plan of Action and more recently in the landmark 2009 Africa Mining Vision, endorsed by African Union leaders. The Vision is a credible blueprint for mineral reforms, owned and led by Africans. It is not just about mining. It calls for a transparent, equitable and optimal exploitation of mineral resources to underpin development. 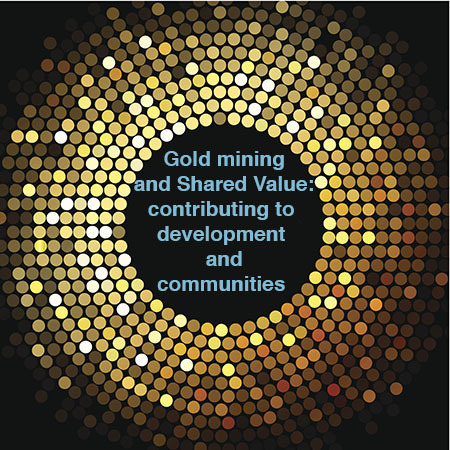 But also promotes local processing and value addition of raw materials to build human, financial, and institutional capital that can outlast the exhaustible currency of mining. It also calls for greater fiscal space and responsive taxation to allow African countries to optimise accompanying rents for development and by adding value through beneficiation, as well as a multi-sectoral approach to mineral development policy. Countries such as Mozambique, Ethiopia, Lesotho, are already using the Vision to reform their own mineral policies, as well as legal and regulatory frameworks. It has also received international buy-in. To operationalise the Vision and its Action Plan, an African Minerals Development Centre (AMDC) has been established to promote the transformative role of mineral resources through increased economic and social linkages. A key objective of the AMDC is to ensure that Africa’s interests and concerns in this lucrative sector are properly articulated and internalised. For example, it coordinates efforts to boost capacity to negotiate contracts and extract better deals for the benefit and prosperity of all as well as ensures the sector is socially and environmentally accountable. 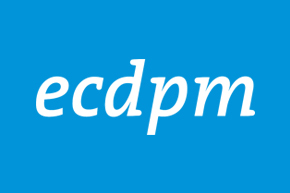 It also provides a central and strategic coordinating capacity extending from optimising policy space, up-scaling geological exploration activities, improving the viability of small-scale mining, to addressing serious weaknesses in natural resources governance, developing linkages to other economic and social sectors and developing expertise for policy research and analysis. A resurgence of African agency is noticeable. In Namibia, foreign investors who want to exploit minerals must now partner with a State mining arm; in the Democratic Republic of Congo, the mining code is being revised to enable the State to hold a minimum of 35% equity in mining projects. In the wake of increased international copper prices, Zambia successfully raised taxes for mining companies to 35% and introduced a windfall tax of 10% for exceptional profits in addition to existing royalties on output of 6%. This move earned Zambia an extra US$415 million in supplementary revenues. These recent trends are no different in spirit from moves by Mongolia, Peru, Indonesia, Poland and even the United States, for increased taxes and royalties. Others have introduced, or are in the process of introducing, export levies on raw minerals. In Indonesia, foreign ownership is capped at 49% after ten years of operations, while in Canada, the Federal Government reviews all big foreign acquisitions to ensure net benefits for the country’s economy. With the advent of negotiating better contracts, governments are beginning to review and question previous deals to ensure that those signed are fair. Seven countries have re-negotiated existing contracts recently. For example, up until just a month ago, uranium mined from Niger was powering one out of every three light bulbs in France. Areva’s total turnover of about US$9 billion was mostly possible thanks to Niger, its biggest supplier that had an annual public budget of only US$2 billion. The recent negotiation has now resulted in a better and fairer deal for Niger. It includes more control on the part of the Government as well as compensation from Areva towards improving infrastructure. Then there is the landmark investigation by Guinea on Simandou iron-ore, the richest untapped reserves in the world. The investigation recommended that companies BSG and Vale be stripped of their mining concessions with the accusation that they were obtained through corruptive practices. Some of the worlds biggest iron-ore and steel-mining companies have expressed interest in the concession, putting Guinea back in the driver’s seat. The jury is still out on whether Guinea will be able to use Simandou as a propeller of dramatic change in one of the poorest countries in the world. Finally, joint responsibility is gaining traction. International players are stepping up on their responsibility. Arrangements such as the Kimberly Process for diamonds and the Extractive Industries Transparency Initiatives (EITI) for minerals are laudable. Despite their own weaknesses, they have contributed to improving transparency and accountability in contract negotiation. However, much more needs to be done. Africa will need to move from a growth model partly fuelled by commodities prices and higher demand, but occupying only 1% of the continent’s workforce, towards a use of these resources as just one ingredient of a transformative model gravitating around an industrialisation drive. Dr. Carlos Lopes is Executive Secretary of the Economic Commission for Africa at the level of UN Under Secretary General.